There are any number of diseases and pests that can stress your dogwood and cause dogwood leaf drop. It is normal to see leaves falling in autumn but you should not see a dogwood tree dropping leaves in summer. When leaves are falling off dogwood in summer, it could mean a serious illness, improper siting or cultivation problems. 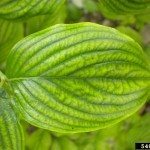 Let’s examine proper cultivation and conditions for the trees and see what can be done about treating a diseased dogwood. Why Leaves are Falling Off Dogwood? Dogwoods are elegant, beautiful ornamental trees with several seasonal displays. Their oval to heart-shaped leaves deepen to crimson and orange in fall. The green leaves add charm and movement during the growing season and set a perfect backdrop for the bright flowerlike bracts. Dogwood leaf drop is not only an unsightly problem but it can spell doom for a plant due to reduced vigor. It is essential to determine the cause and preserve the energy gathering foliage. Dogwood plants need acidic well-drained soil in full to partial shade. 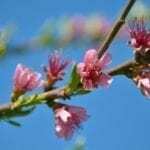 Failure to provide these conditions will encourage disease and pest problems. Insect pests are usually the easiest to diagnose. Borers leave piles of sawdust near the holes they make, scale is visible as little armored bumps along stems and sawfly larvae cause skeletonized leaves with whitish powder coating them. Borers and scale respond to appropriate insecticides while sawfly larvae are large and obvious enough to hand pick and destroy. Treating a diseased dogwood is a bit harder and requires correct diagnosis of the disease. One of the most recurring causes of leaf drop is powdery mildew. Many varieties of plants can get this fungal infection, which cause leaves to get a white coating and eventually suffocate and die. If a tree has a lot of powdery mildew, the overall health of the tree is affected due to minimized harvest of solar energy. Fungicides can be effective or you can prune out the infested areas. If the disease is a common problem in your area, it is best to choose a cultivar with powdery mildew resistance. Leaf spot disease also occurs on twigs and buds. It causes brownish tan spots on foliage, especially on shaded trees after heavy rains in the warm seasons. 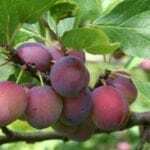 Prune out affected stems and leaves and destroy the plant material. Crown canker is a serious disease that will eventually girdle the tree, causing not only leaf drop but complete die back. The tree will need to be removed and destroyed. Anthracnose affects many ornamentals. It is characterized by purple spots on bracts and leaves in spring. Usually no treatment is necessary, but in severe cases, use fungicide at bud break. Follow with the spray every 7 to 14 days until all the leaves have opened.